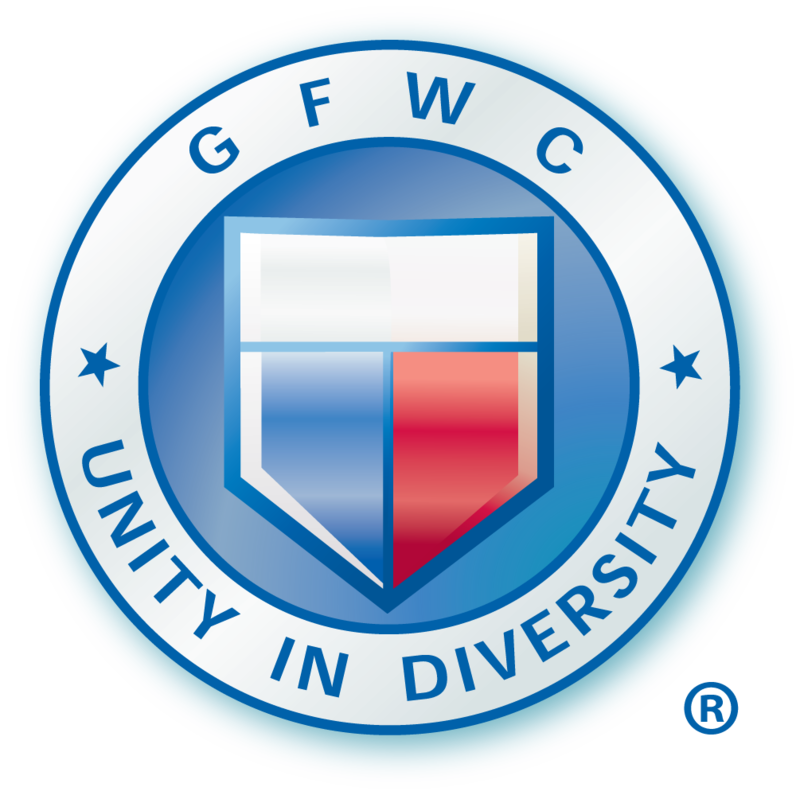 The GFWC was established in 1890 and now has more than 6500 local clubs in the United States and clubs in over 20 countries. Local clubs are able to shape their agendas to suit their particular community's needs. Current membership for the GFWC exceeds one million members worldwide. GFWC Headquarters is located in Washington, DC at 1734 N Street NW and is a National Historic Landmark that houses the Women's History and Resource Center, a repository for books and resources devoted to women's history and women in volunteerism. If you are visiting the DC area GFWC Headquarters welcomes tours! For more information or to schedule a tour, call (202) 347-3168 , ext. 137. Tours are available Monday - Friday from 9:00am -4:00pm. The GFWC of North Carolina Federation of Women's Clubs was organized May 27, 1902 at Salem College in Winston Salem, NC. Our Motto is "The Union of All For the Good of All". The name of the organization was changed in May 1998 to GFWC-NC, Inc. to better identify the North Carolina Federation with its parent organization. GFWC-NC Headquarters is located at 7474 Creedmore Road, #310, Raleigh, NC 27613. You may call them toll free at (800) 448-8684. (1) Scholarships, (2) Community Service Projects, (3) Legislative Outreach, (4) Educational Opportunities, (5) Leadership Training, (6) Advocacy, and (7) Networking. GFWC was one of the first organizations to understand the importance of networking. Information is distributed to the local clubs from the national level through a leadership chain. In addition to the broad communication of program information and ideas sent directly to the local clubs from both the national and state federation levels there is a network set-up which offers more in-depth information and specialized leadership training. GFWC has a Board of Directors, which includes the President and Junior Director from each state. In addition to the GFWC Annual Convention, these leaders attend several meetings annually, which provide intensive training to assist them in meeting their leadership challenge. These meetings offer the opportunity to network with other ladies from across the country and to form far-reaching friendships. In addition to the national gatherings, the country is subdivided into regions. Several states make-up each region and North Carolina is a member of the Southeast Region or SER. The other members of the SER are: Kentucky, Maryland, Tennessee, Virginia and West Virginia. Each state in turn is composed of clubs in the various membership categories. North Carolina operates under the leadership of the Board of Directors on which each club president, except Juniorettes, serves. 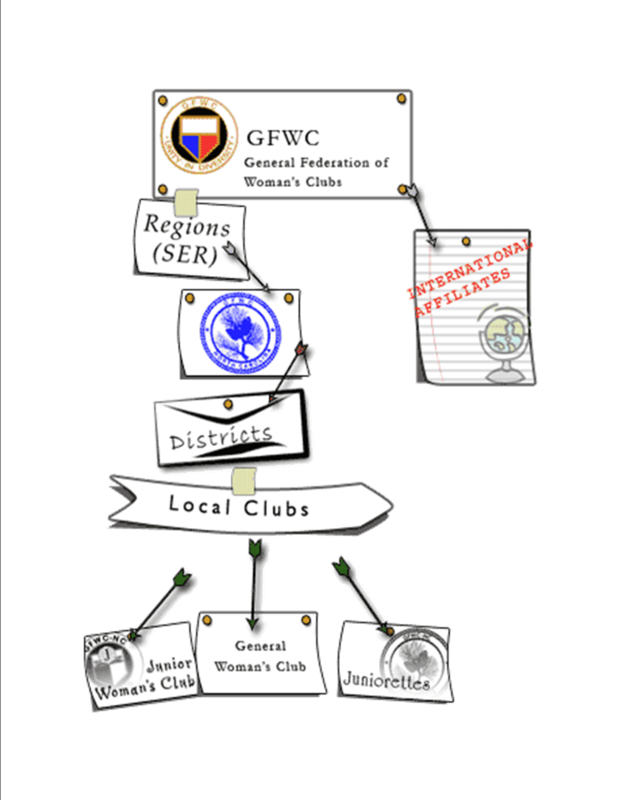 In order to relay the program of work of GFWC-NC in a more direct and thorough manner to area clubs the state is subdivided into districts. There is a level of leadership that this framework adds which affords a closer connection for the local clubs. Districts reinforce and provide to the Federation program of work a closer link for the local clubs. Click here for a peek at our District Connection! This program of work is presented through the various departments and the leadership of those departments at each level of the Federation. This is networking ... truly at its best, providing fellowship and offering life-long friendship opportunities. The other example of this networking is the reporting element. Each club reports their accomplishments through the State to the national level. GFWC is able to then share these accumulated community services with corporations and other organizations. Based on this data GFWC then enlists sponsors and joins with other organizations to work toward common goals. This process makes the efforts of one club ...even one member ripple like an ocean wave to have far reaching effects on the world. Each volunteer contribution then becomes instead of a mere drop of water in that ocean of humanity; rather part of the network of water that spans the globe.